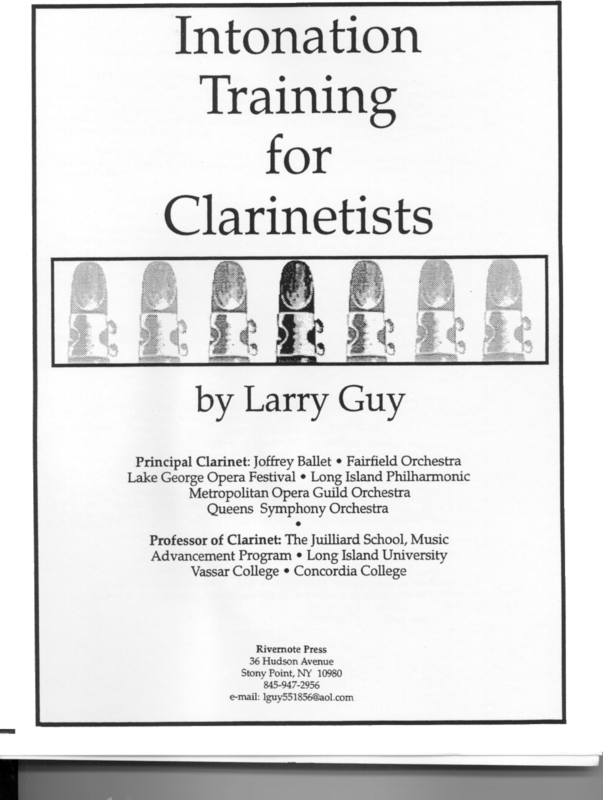 For over 30 years, Larry Guy has been one of the busiest clarinetists in New York City. For twenty-seven years he was principal clarinet of the Long Island Philharmonic, and for many years he served as principal clarinetist with the Joeffrey Ballet Orchestra, the Metropolitan Opera Guild Orchestra, Lake George Opera, and the Queens Symphony Orchestra. A former member of the Atlanta Symphony, he has also performed with the New York Philharmonic, American Ballet Theatre, American Composers Orchestra, Brooklyn Philharmonic, New Jersey Symphony, New York City Ballet, New York City Opera, The Orchestra of St. Luke’s, Orpheus Ensemble, Philharmonia Virtuosi, Sylvan Winds, Speculum Musicae, and the Emerson, Manhattan, and Vermeer String Quartets. Broadway credits include Baz Luhrmann’s production of Puccini’s “La Boheme”, Peter Brooks’ “The Tragedy of Carmen”, “Most Happy Fella”, “Man of La Mancha”, Miss Saigon”, and “The King and I”. He has won numerous awards and has presented solo recitals in Weill Recital Hall at Carnegie Hall in New York, at the Phillips Collection in Washington, D. C., and at numerous other halls throughout the country. Mr. Guy studied at Oberlin College (B. M.), Catholic University (M. M.), and Manhattan School of Music (Post-Graduate Diploma), where he was awarded the Andrew Goodman Prize for excellence in clarinet performance. His principal teachers were Robert Marcellus, Anthony Gigliotti, and Marcel Moyse. Larry Guy has recorded for Angel, Columbia Masterworks, CRI, Decca, Delos, Koch International, Vanguard Classics, Island Records, and his performances have been heard over National Public Radio. Mr. 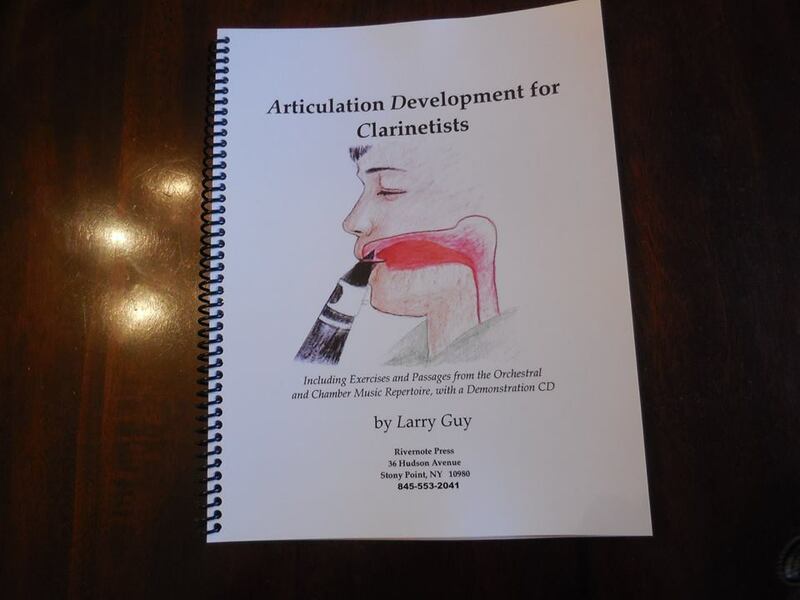 Guy has lectured for ClarinetFest at the Royal Academy in Stockholm and for the University of Oklahoma Clarinet Symposium. 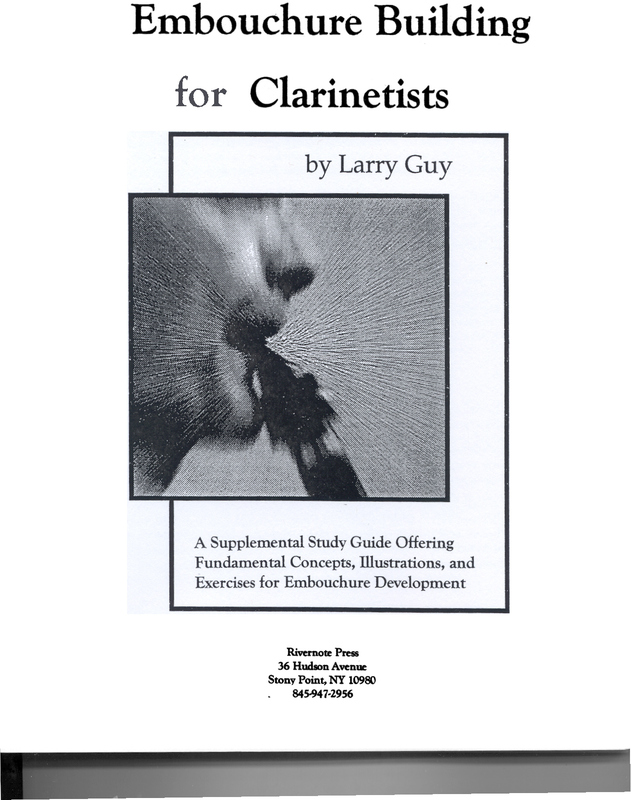 He has presented master classes and workshops around the country, and he is the author of five handbooks: “Embouchure Building for Clarinetists”, “The Daniel Bonade Workbook”, “Selection, Adjustment and Care of Single Reeds”, “Intonation Training for Clarinetists” and “Hand and Finger Development for Clarinetists”. With the publication of “The Complete Daniel Bonade”, Mr. 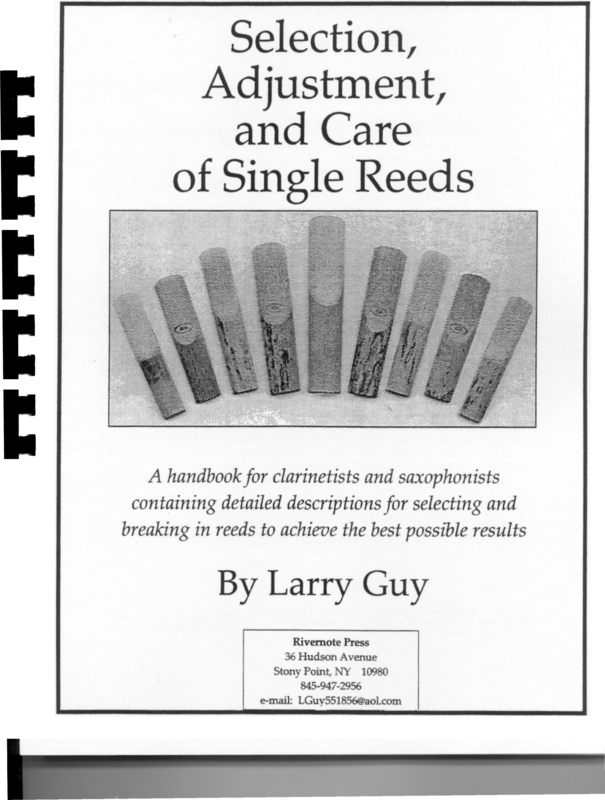 Guy has made the three major texts of Daniel Bonade (Clarinetist’s Compendium, 16 Phrasing Studies, and Orchestra Studies), out of print for many years, once again available to clarinetists. 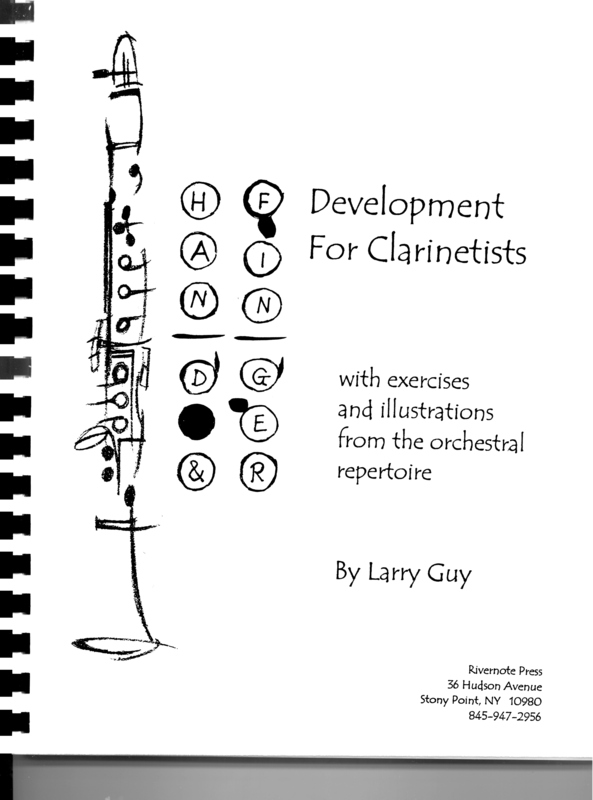 He has recently compiled two educational CDs, released by Boston Records: “The Legacy of Daniel Bonade”, (#BR1048CD), which includes nearly everything the legendary clarinetist ever recorded, and “The Artistry of Ralph McLane”, (#BR1067CD), which features the great clarinetist in a wide range of orchestral repertoire. 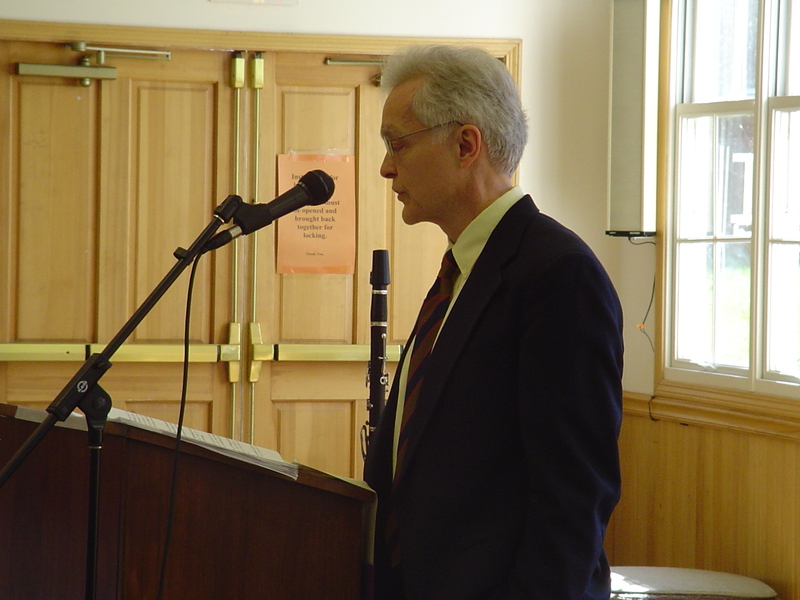 In 2009, the International Clarinet Association appointed Mr. Guy “Chair of Pedagogy“; in this capacity he will write articles about teaching for the association’s magazine, The Clarinet. Presently Mr. Guy serves on the faculties of New York University, Vassar College, the Music Advancement Program at the Juilliard School of Music, and the Precollege Division of the Manhattan School of Music.